“I am looking forward to studying and living in China!” He will study in China with the help of a Chinese government scholarship.According to the Belgian Embassy in China, more and more Belgian students are coming to China to study. There are three reasons for the increasing numbers of students from Belgium. First, China’s rapid development offers more opportunities for Belgian students;second, China and Belgium are improving bilateral cooperation and exchanges; third, the two countries are increasing exchanges in education. 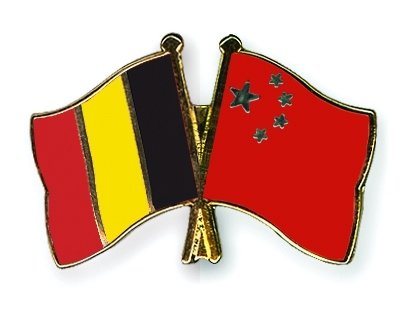 The two countries have joined together to found Confucius Institutes in four Belgian cities,one of which is Brussels. Around 90 Belgian elementary and primary schools have begun offering courses in Chinese. With the rise of China, growing numbers of foreign students are choosing to study in China.In 2014 the number of European students in China increased by 13% compared with 2012. In an effort to improve friendship and cooperation between China and foreign countries,China has set up a system of government scholarships to encourage more foreign students to study in this country. Since 2007, China has given financial help to more than 100 European students to study Chinese and Chinese culture.